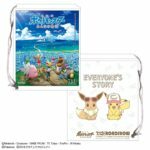 Small Planet, a company that makes products based on famous IP, is opening Pokemon The Movie: Everybody’s Story Pop Up Stores across Japan from July 13, 2018. 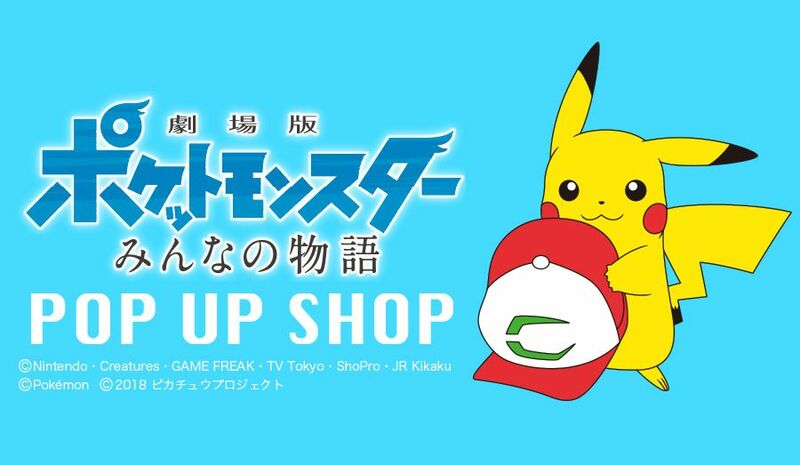 The Pop Up Stores will be opened for a limited time at three locations from July 4 – Canal City Hakata in Fukuoka (July 4 to July 22), Tempozan Market Place in Osaka (July 13 to August 19), and Tokyu Department Store at Shibuya Station in Tokyo (August 2 to August 22). 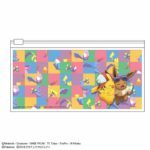 Customers will be able to purchase products such as a Pikachu plush wearing Ash’s hat, souvenirs, can badges, and other merchandise. Shopping Bags will be given out to customers who purchase any product at all Pop Up Store locations. 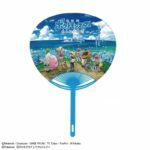 For transactions worth 2000 yen and above, customers will receive a Uchiwa fan or Vinyl Pouch.